As seen in Blog Muskoka, Muskoka is a well-recognized world destination and known as a place that can change your life. It is no surprise that Muskoka is on the list for National Geographic’s – 50 Places of a Lifetime, where Canadian travel writer Liz Beatty shares her experience, connecting readers with the wonders of Muskoka a “Paradise Found”. These awards add to other accolades from National Geographic – # 1 of the 10 Best Summer Trips, One of the Top 20 Must See World Destinations and Top 10 things to Do in Ontario. How does Muskoka stack up on your life experiences? Make a trip… to remember! When you make your trip, stay at Muskoka Soul in a private luxury rental cottage, custom built and designed for the guest experience. 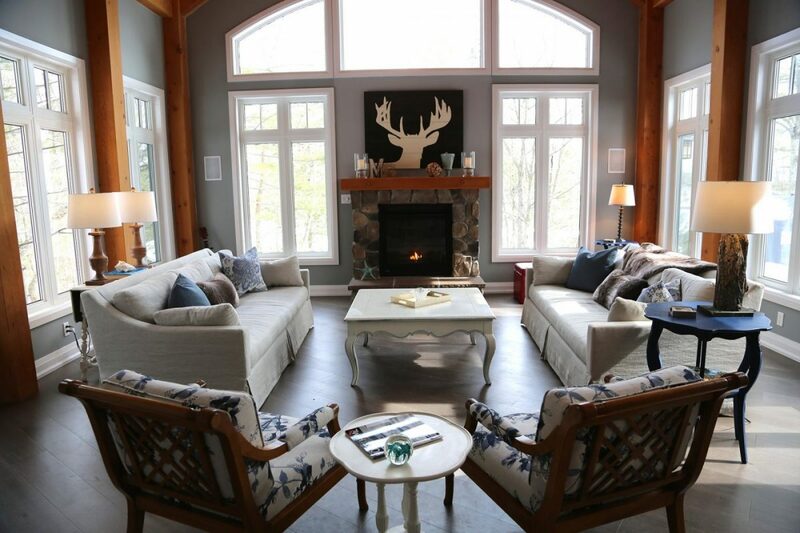 Our 2 locations are located on the shores of Lake Muskoka and are the perfect destinations for group or family vacations, business retreats/team building meetings, wellness/yoga retreats & social events. We look forward to planning magical escape experience! Learn more about Muskoka Soul through this review by American Express Ambassador Lisa Ng as she shares her Muskoka Soul experience. Some have said Muskoka Soul is the “best private accommodation on the Muskoka Lakes” since 2007. I've now been to both the Lakehouse and Cliff Bay properties - needless to say, both are incredible. My family recently visited Cliff Bay to celebrate a milestone birthday and it was the perfect venue for the celebration. We had renowned Chef Don cater the event (we recommend the lasagna!) and everybody LOVED the food. Amazing house, great energy, and most importantly: comfy beds. 5 star recommendation...looking forward to our next visit! Absolutely amazing experience and the best staff to deal with. Our wedding could not have been located in a more traditional Muskoka setting. Everything was easy and could not have asked for anything more! I just ran my very first wellness retreat at the Cliff Bay House and it was absolutely amazing! Beautiful house, beautiful property, beautiful dock, and my favourite part was how organized and easy everything was. All my guests left very happy. I would rent again and highly recommend. Thanks! Cliff Bay was the perfect location for our Self-Love retreat! Not only is the cottage beautifully appointed and ideal for large groups, it also has a "soul" of its own....allowing all of our participants to feel comfortable, pampered and well-taken care of....which is exactly what we wanted to find in ourselves!!! The property owners went above and beyond to make sure that our retreat was memorable and successful...which it was! The bedrooms were perfect for sleeping and for finding quiet time, the kitchen was the heart of our retreat and the great room allowed us to have conference time as well as yoga and stretch classes. The dock was perfect for morning meditation as well as for retreat exercises. The surrounding trails were also an added bonus for a quick hike or a quiet walk. Cliff Bay was a magical place for our retreat and we will be back!! A absolutely stunning property! My family rented it to attend my Nephews wedding in Gravenhurst! The only sad thing is it was not a long enough stay!! I hope to return in the summer sometime to enjoy sitting on the dock and enjoying the warm weather. Being there in the fall the colours were spectacular!! This house has all the amenities you would need to enjoy your stay. This house is so clean and comfortable and just beautiful! Thank you Elizabeth for always responding quickly to any answers We had! Thanks Sandra for sharing this property! !